Above the Line or Below the Line, these are very old concept of Marketing. 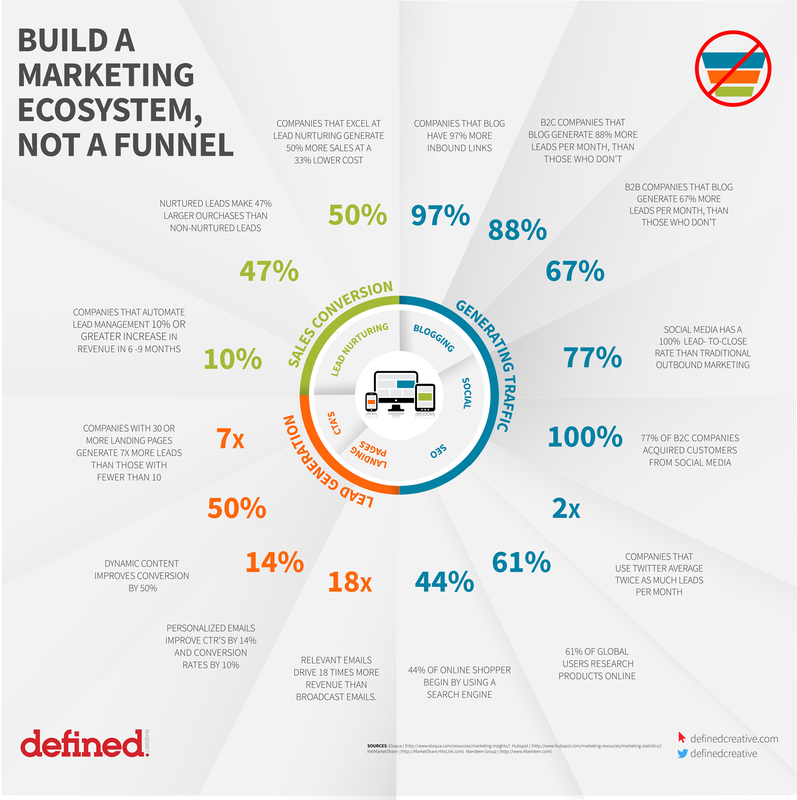 When it comes to Digital Marketing, there are 2 school of thoughts, funnel or ecosystem. In this post, I am going to briefly share with you the difference between both Funnel or Ecosystem. 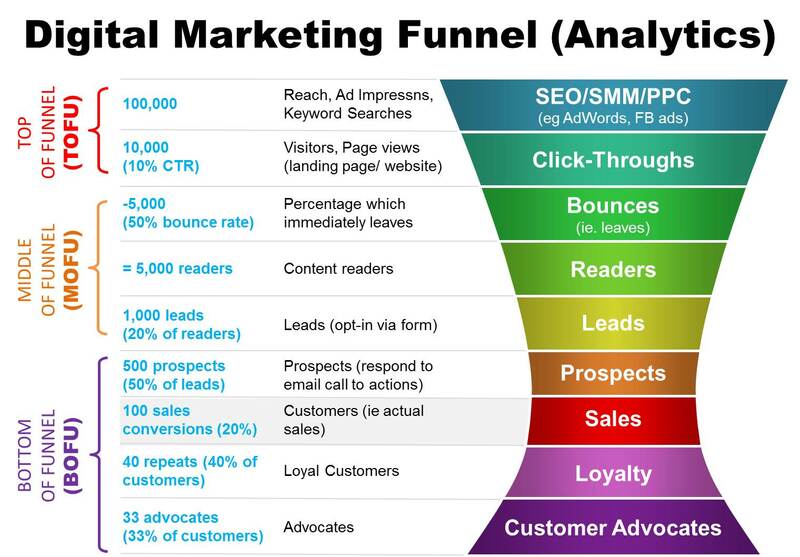 In funnel, you qualify the leads from TOFU (top of funnel). This means you need to capture audience from SEO, FB ads, Twitter etc. From here, you get them to click on CTA (call to action). Some of them might leave because it’s not relevant to them, some stay to become an avid reader. Depending on your content and target market, when you hit the right button, they will reach out to you and become a leads. The BOFU (bottom of funnel) is the bit where you have to close the deal. Deliver an excellent service so they can be an advocate of your brand. You have to design carefully so that customers passthrough each steps. Myth: Actual funnel is driven by gravity and all passthrough no matter how tight it is. In an ecosystem digital marketing, it works to harmonize the every touchpoint of your prospect’s experience. In some ways, we can call this a digital marketing experience. It’s broken down into 3 different activities, generate traffic, capture leads and convert. Obviously the first step is to garner traffic, without traffic, it’s pointless. The second step is generating leads. You need to capture their interest, make them stay and evaluate your products & services. The last bit is to convince them that you are up for the job. Consistent branding throughout the ecosystem. Can be really complex to integrate all because it’s on multiple channel, and you have to be consistent. Which ever method you choose, it’s never wrong. Just use one that you understand completely and work with what’s ideal for you. Like always, plan and pivot as you go along. Digital marketing changes a lot, quickly. There is no perfect formula, experimental is the only way. With that, Good luck!